Epic has updated its store to offer a refund policy like Steam’s. The Epic Games store now offers refunds for any reason within 14 days of purchase and under two hours players. You have to go through player support to get a refund, but according to Epic’s Sergey Galyonkin (who, in a delicious twist of fate, doubles as the brains behind Steam Spy), the developer is working on a self-service solution. As part of Epic’s war on Steam, it’s got a raft of PC exclusives and free games to offer on its store. Perhaps the most eye-catching deal it’s struck so far is for Ubisoft’s upcoming The Division 2, which will launch on the Epic Games store as well as uPlay but not Steam (The Division as well as previous Ubisoft games launched on Steam). 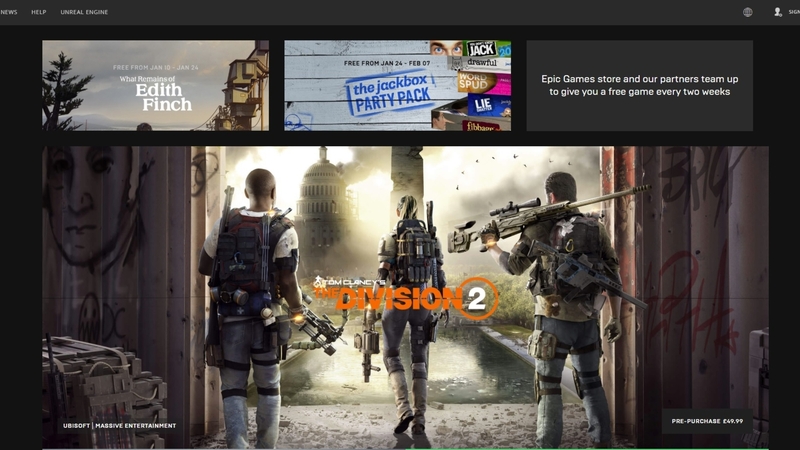 But there are some key differences between the Epic Games store and Steam. For one, the Epic Games store doesn’t include user reviews, although this is coming, nor does it have a marketplace. But Epic’s offering does give developers and publishers a bigger chunk of revenue than Valve does.